You have probably NEVER seen Big Ben. Say, do you know what this is a photo of? If you said Parliament or the river Thames you would be correct. However, if you said Big Ben you could be wrong as Big Ben is NOT actually visible in this photo. Also, if you are a UK citizen you may request a tour of the Elizabeth Tower and see Big Ben for free. Click this link to find out how. For the rest of us we will just have to be content with photos of the Great Bell. We found this all very interesting and greatly enjoyed hearing the Great Bell “Ben” ring and its distinctive tone echo across the River Thames. It is very surreal spending time in a place that you have only read about or seen on television. London is a beautiful city still very old but at the same time very new. London is very welcoming and warm, very international but yet distinctively British. 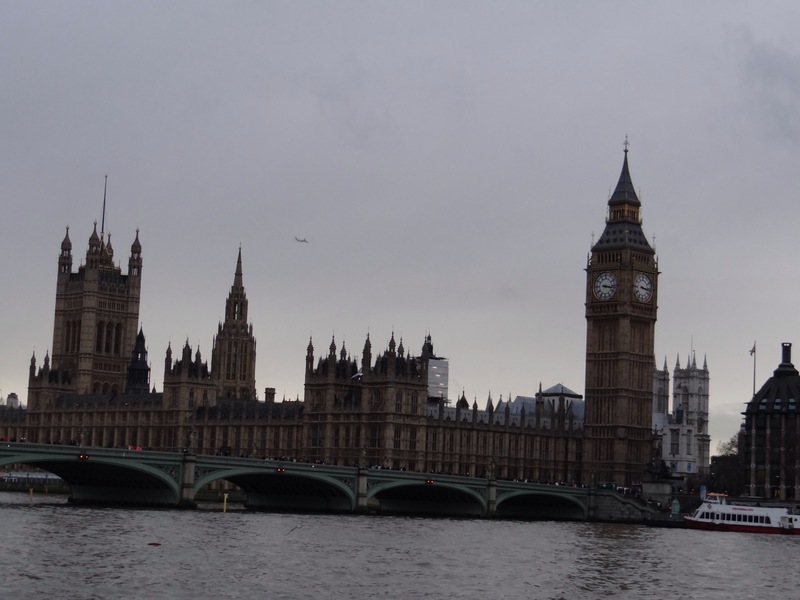 We all have loved London and hope to see this lovely city again one day.